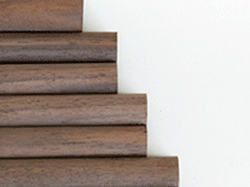 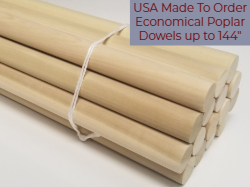 USA Made, Kiln dried American Hickory Dowel Rods - clear, smooth and accurately sized. 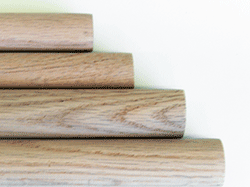 About the Hickory that we make into hardwood dowels: Hickory (True Hickory Group). 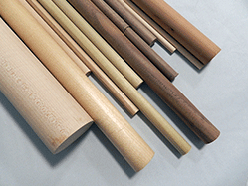 True hickories are found throughout the eastern half of the United States. 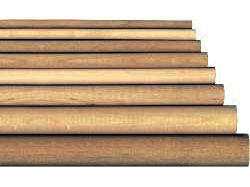 The species most important commercially are shagbark (Carya ovata), pignut (C. glabra), shellbark (C. laciniosa), and mockernut (C. tomentosa). 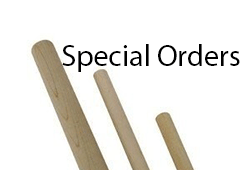 The greatest commercial production of the true hickories for all uses is in the Middle Atlantic and Central States, with the Southern and South Atlantic States rapidly expanding to handle nearly half of all hickory lumber. 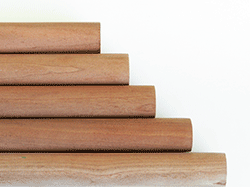 The sapwood of the true hickory group is white and usually quite wide, except in old, slow-growing trees. 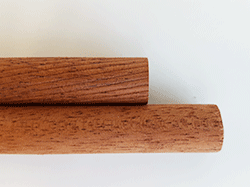 The heartwood is reddish. 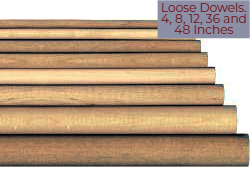 The wood is exceptionally tough, heavy, hard, and strong, and shrinks considerably in drying. 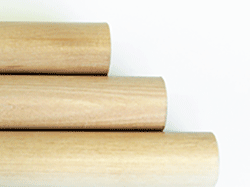 The major use for high quality hickory is for tool handles that require high shock resistance. 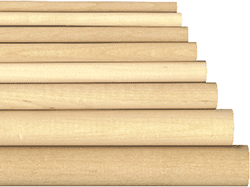 It is also used for ladder rungs, athletic goods, agricultural implements, dowels, gymnasium apparatuses, poles, and furniture.